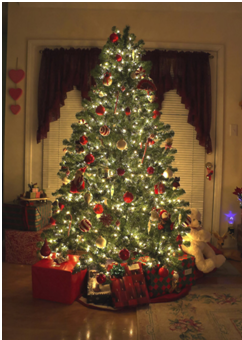 For most families the legacy and lore, traditions and customs surrounding the family Christmas Tree are sacred…or at the very least, non-negotiable. Consider the following: Live Tree vs. Artificial Tree; White Lights vs. Colored Lights; Garland vs. Tinsel; Angel Tree-topper vs. Star Tree-Topper. But of all the variety of debates the one that was near and dear to my heart was this: WHEN do you set up the Christmas Tree up? In a very real way the setting up and decorating of the Christmas Tree has come to symbolize the beginning of the Christmas season…and, well, the end. As a child growing up in a German-influenced home, our Family Tradition took its cue from Martin Luther. According to tradition, Luther may have popularized the tradition of the Christmas tree as a way to express and teach theology to his family. 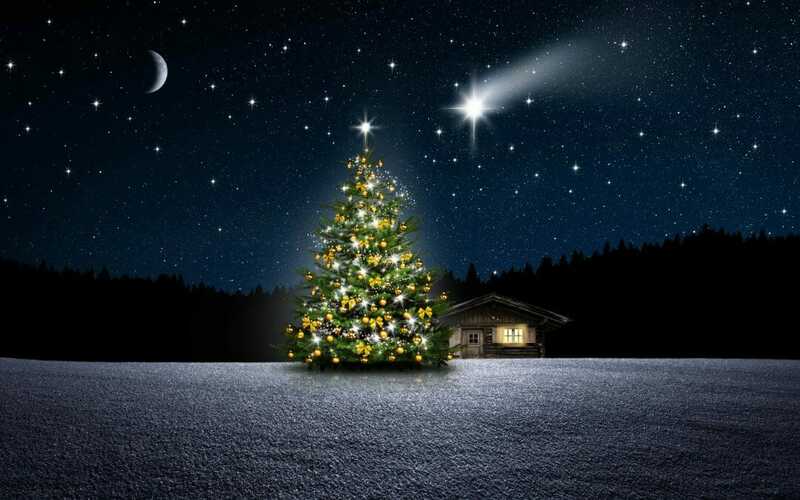 The story goes that while he was on his way home one winter evening, he became overwhelmed by the incredible beauty of a fir tree positioned against the backdrop of the brilliant starlit sky. He so desperately wanted to describe what he had seen to his family, but the words failed him. So he ventured back outside and chopped down one of these trees, bringing it home to share with his family. He even decorated the tree with candle tapers, mimicking the stars that hung over the manger where the newborn Messiah lay. Thus, my family always had a “Live” Tree. I remember venturing out into the cold December evening looking for the perfect Tree. Some years we would cut it fresh, other years we would buy it at a Tree Lot. The Tree would wait patiently in our back yard until Christmas Eve. Then my father would bring the Tree into the house in the morning and place it in the stand. Once the Tree acclimated to the warmth of the house, then we would string white lights around the Tree and place the star on the top. Friends of our family would come over and help us decorate the Tree with the ornaments, garland, and tinsel. And then…and only then, were we ready. “Ready for what?” All the days leading up to this moment were days of preparation. Subtly, quietly, and anxiously we, as a family, were building up this heightened moment of the Good News that was to come by way of a manger. Attending church services on Sunday mornings we heard messages that talked about Jesus riding into Jerusalem, John the Baptist (a voice crying out in the wilderness preparing the way of the Lord), and an angel proclaiming to Mary that she would be “great with Child…” all messages preparing my family and me. An Advent Candle being lit each week around the themes of Hope, Peace, Joy, and Love…preparing our hearts for what was to come. And then on the 4th Sunday of December magically and wondrously the GIANT Christmas Tree with white lights and Chrismon Ornaments appeared in the chancel of the church! I still remember the wonder, excitement, and anticipation…we were almost ready! “Ready for what?” Well, Christmas of course. The Christmas Tree, the exchanging of Gifts, the singing of Carols, and gathering for worship, all comes to a dramatic climax on December 24th. The focus wondrously swings to shepherds and angels…sheep and cattle…Mary and Joseph…and the coming salvation in the face of the Christ Child. With our Christmas Tree decorated, our bellies full, gifts with friends exchanged, and hugs good-bye, my childhood Christmas really began as we left our home, ventured to Church, and welcomed Christ the newborn king, as a family. As I look back on those simpler days I am reminded that the Christmas Tree really is a very important and critical part of my Christmas preparation and celebration. The tree itself is not sacred. Many of the ornaments (past and present) have little or nothing to do with the Gospel Story of Jesus’ birth. Luther’s candles have been replaced with electric lights (and thank the Lord for that!). And it really doesn’t matter much if its a “Live” tree or “Artificial.” What matters is that our simple Christmas Trees are part of the story leading us to Jesus. When you see a Christmas Tree in these days leading up to and following Christmas, may it serve as a reminder of Jesus Christ, who is the light of the world, crucified on a tree (1 Peter 2: 24) and that all His people who are crucified with Him and have died to self are the light of the world (Matthew 5: 14). So enjoy your Christmas Tree! Turn on the lights and let it shine…whether your tree has been decorated since Thanksgiving or if your still waiting to set it up Christmas Eve may it serve as a reminder to you and your family of the incomprehensible Love that comes down in a manger…for us. Holy Communion is celebrated at both services on the first and third Sundays of each month.